Dr. Natividad is a southern California native. After completing his undergraduate studies in Psychology/Biology at USC in 1998, he went to the Philippines to discover his roots. While he was there, he earned his Doctor of Dental Medicine degree from the University of the Philippines -- the country's premiere dental academic institution. During his stay there, he did community service and voluntarily offered quality dental care to those who were unable to afford it and had no access to oral health care. He often says that this experience has helped him focus on the heart of dentistry, which is to improve the health and the quality of life of his patients. After returning home, he furthered his studies and earned his Doctor of Dental Surgery degree at the University of Southern California- Ostrow School of Dentistry. Since then he has completed extensive courses in the fields of implantology, oral surgery, cosmetic dentistry, endodontics, orthodontics, and pediatric dentistry. His love for dentistry and the genuine care for his patients' well-being is evident in his everyday practice. 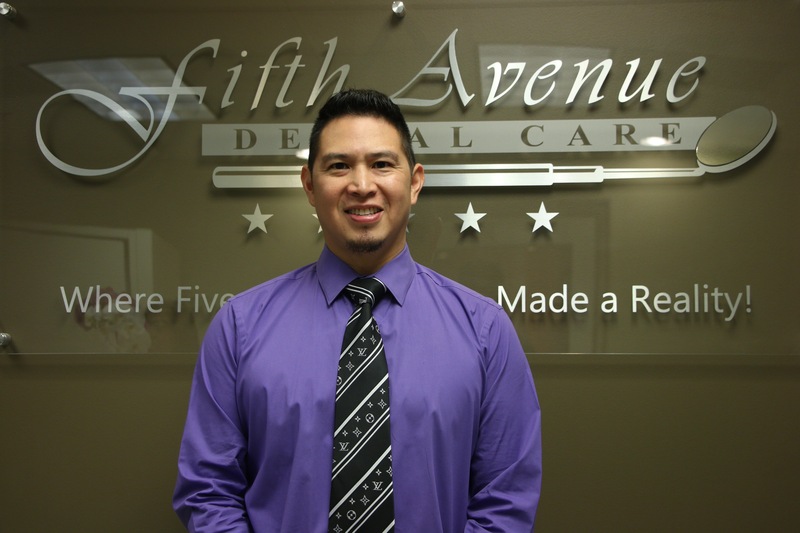 These reasons among others has made Dr. Natividad well-liked by his patients and staff members at Fifth Avenue Dental Care.